As you know, many Christians across America set aside a couple of hours on Thanksgiving Day or Thanksgiving Eve to observe, not a Festival of the Church, but a civic holiday instituted by the government of the united States of America, for the purpose of recognizing that the many temporal blessings we receive are given to us by God, and for the purpose of returning solemn thanks to Him. Chief among these blessings is the Freedom of Religion itself, enshrined in the first of the Bill of Rights to the U.S. Constitution – not just a freedom to set aside an hour or so a week to merely worship according to our private beliefs, but the liberty to daily live and publicly speak according to the eternal convictions of Christian conscience. Widely acknowledged as the world’s first written constitution, this brief document recognizes from General Revelation (Natural Law) that civil government is a social contract which draws its legitimacy from the consent of the governed, and affirms from Special Revelation that all government is instituted by God (Rom. 13:1). As such, the Mayflower Compact is the seed of American society and government. With much prayer, labour and travail, the Pilgrims proceeded to build their colony. A hard winter beset them that first year, with starvation and sickness causing the death of a good number of them, but the Lord blessed them with friends, rather than enemies, from among the surrounding natives, and blessed them further with healthy crops and plentiful harvest the following year. Knowing from Whom all blessings flow, the Pilgrims held a three-day Feast of Thanksgiving to the Lord that following November, and invited their new-found American friends to join them. by Jennie Augusta Brownscombe, 1914. Public Domain. By the beginning of the 18th Century, the custom of recognizing God as the giver of many blessings, and of returning thanks to Him by setting aside time to feast in His name from the abundance of His temporal blessings, had become a fixture throughout New England communities. It wasn’t until the War of the Revolution, however, that Thanksgiving was first officially instituted as a national holiday in America. The first Congressional Thanksgiving Day Proclamationi was issued by the Continental Congress on November 1, 1777 – the day after news reached them of the American victory at the Battle of Saratoga, a triumph which turned the tide of the War. It was authored by Mr. Samuel Adams, future Governor of Massachusetts, and cousin of future President of the United States, Mr. John Adams. Going further than merely setting aside time for the offering of thanks to God for victory in war, this Proclamation declared the adoration of God, in gratitude for the many blessings received from Him, to be an indispensable duty of all men, and urged the American people to express with one heart and one voice the gratefulness of their hearts, to make “penitent confession of their manifold sins, whereby they had forfeited every favor, and [make] humble and earnest supplication that it may please God, through the merits of Jesus Christ, mercifully to forgive and blot them out of remembrance” and to pray that God would “take schools and seminaries of education, so necessary for cultivating the principles of true liberty, virtue and piety, under His nurturing hand, and to prosper the means of religion for the promotion and enlargement of that Kingdom which consisteth in righteousness, peace and joy in the Holy Ghost.” Not only for the temporal blessings of civil liberty, plentiful harvest and victory in war, the first nationally recognized Day of Thanksgiving was equally a day founded on the message of Law and Gospel, of returning thanks to God for the eternal blessing of the forgiveness of sins, and of petition for the advancement of Christ’s Kingdom and of a Christian Society in America. I recommend and assign Thursday, the 26th day of November next, to be devoted by the people of these united States to the service of that great and glorious Being who is the Beneficent Author of all the good that was, that is, or that will be; that we may then all unite in rendering unto Him our sincere and humble thanks for His kind care and protection of the people of this country; for the signal and manifold mercies and the favorable interpositions of His providence in the course and conclusion of the late war; for the great degree of tranquility, union, and plenty which we have since enjoyed; for the peaceable and rational manner in which we have been enabled to establish constitutions of government for our safety and happiness; for the civil and religious liberty with which we are blessed, and the means we have of acquiring and diffusing useful knowledge; and, in general, for all the great and various favors which He has been pleased to confer upon us. By the beginning of the 19th Century, it had become customary to set aside the last Thursday of November for the observance of Thanksgiving, and for the first time it was observed in all states on this day in 1863, following the proclamation of President Abraham Lincoln, who had been urged to officially make Thanksgiving a national holiday and to fix a permanent date for its observance. In 1941, President Franklin Delano Roosevelt slightly changed this permanent date to the fourth Thursday of November, reasoning that this would provide an extra week of transition into the season of Advent and for the preparations of Americans for Christmas – and would prove a boon to the national economy. 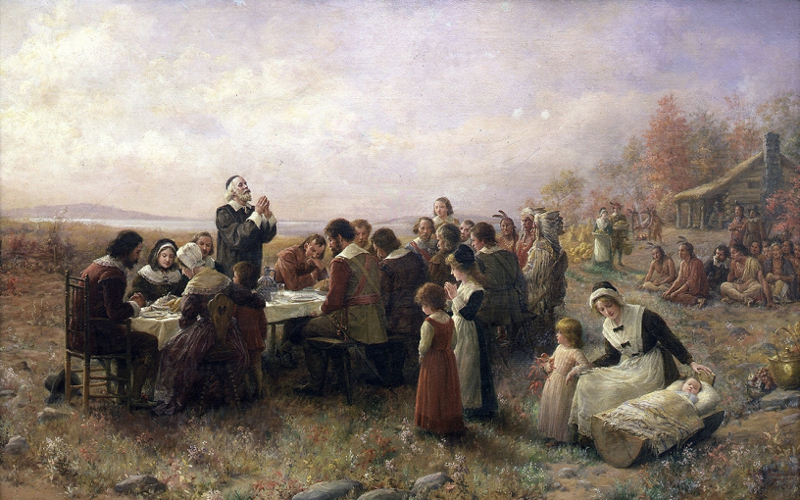 Given the relationship of Thanksgiving to Religious Liberty, and given the Christian’s duty of gratitude, many Christians feel that it is appropriate to include Thanksgiving, even though it is a civic and not a religious holiday, in the worship schedule of the Church Calendar, as if it were a Festival of the the Church. So, as we are finishing our preparations for Thanksgiving this year, and as we go about our Thanksgiving celebrations in the home, church, and the community, let us be grateful for the many temporal blessings which God has showered upon our Nation, chief among which is the Freedom of Religion itself, but let us also be especially grateful for those eternal blessings which God, in His Grace and Mercy, bestows upon all those who believe – for those eternal blessings of forgiveness of sin, spiritual life and eternal salvation. 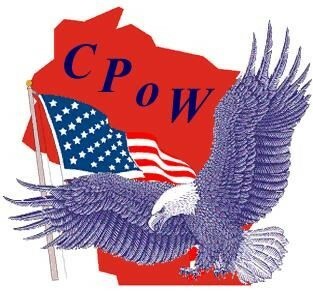 The Constitution Party of Wisconsin (CPoW) values and appreciates your continued support. Consider JOINING our ranks, and standing shoulder-to-shoulder with us as we engage our State and Nation with the time-honored and -tested truths that ours is a constitutional republic founded on Liberty of Conscience, Security of Property, and the Rule of Law as inviolable principles of social order in a free nation, and that as such is necessarily guided by an understanding of human nature informed by biblical teaching, and thus also by a general observation of Christian morality in both our social customs and our laws. Read our Full Platform, and consider joining the Constitution Party of Wisconsin. CLICK HERE to JOIN! 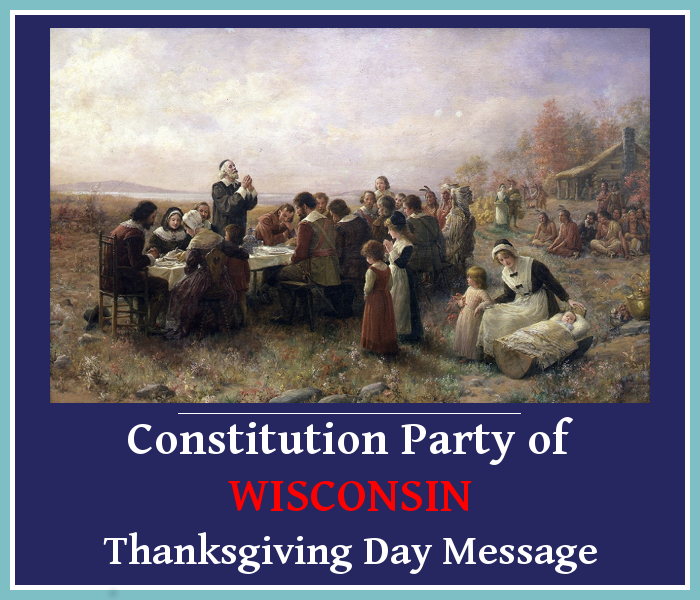 Please consider DONATING to the Constitution Party of Wisconsin. You can DONATE ONLINE by CLICKING HERE. If you prefer to donate by check, please CLICK HERE to CONTACT US indicating your desire to donate by check, and we will reply with a document for you to fill out and return to us via postal mail. Above all, please keep our Party, State and Nation in your prayers! Our State is now led by liberal progressives, who will very likely renew their destructive efforts to morally and financially bankrupt our State, and our Nation appears to be at a cross-roads. The division is stark. And, it seems, the division is well-founded and necessary. Pray for wisdom and integrity among our representatives in legislative and executive positions, and for the leaders of the Constitution Party of Wisconsin as we seek to broaden the dispersal and acceptance of our ideas, to pursue party growth and influence, and to engage our society with the only Truth that leads to unity and liberty. This Proclamation was Issued by the Continental Congress during the War of the Revolution, November 1, 1777 – the day after news reached them of the American victory at the Battle of Saratoga, a triumph which turned the tide of the War. It was authored by Mr. Samuel Adams, future Governor of Massachusetts, and cousin of future President of the United States, Mr. John Adams. Now, therefore, I do recommend and assign Thursday, the 26th day of November next, to be devoted by the people of these united States to the service of that great and glorious Being who is the Beneficent Author of all the good that was, that is, or that will be; that we may then all unite in rendering unto Him our sincere and humble thanks for His kind care and protection of the people of this country; for the signal and manifold mercies and the favorable interpositions of His providence in the course and conclusion of the late war; for the great degree of tranquillity, union, and plenty which we have since enjoyed; for the peaceable and rational manner in which we have been enabled to establish constitutions of government for our safety and happiness; for the civil and religious liberty with which we are blessed, and the means we have of acquiring and diffusing useful knowledge; and, in general, for all the great and various favors which He has been pleased to confer upon us.